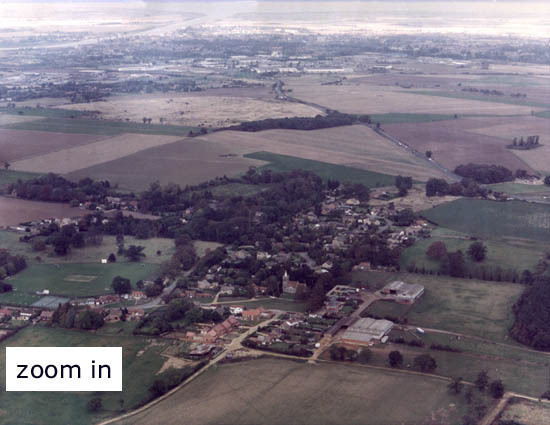 This photo from ?1986 shows the village surrounded by fields (mostly arable). In the background, to the north west, is King's Lynn and the mouth of the River Ouse where it flows into the Wash. The road running out from King's Lynn towards North Runcton is the A47, which continues to Swaffham, East Dereham and Norwich (40 miles to the east).